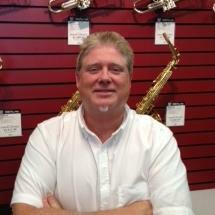 Hey, my name is Tony Wrenn, store manager of the Durham Music & Arts. I was born and raised in Durham, North Carolina, where I've been very active in the local music community. I started playing guitar at 12 years old. Through my career, I've been with bands that have been on major record labels such as MCA and CBS Epic Records. I've toured all over the US and have played on many recording sessions. I've been managing music stores in the Durham area for over 30 years. Currently, I'm the band leader and guitarist for New Horizon Church in Durham, NC. I would love to meet you - call or come by the store. Our staff here are all musicians and we would love to help you with your musical journey.